One coat of JULEP Nail Color in Laken. 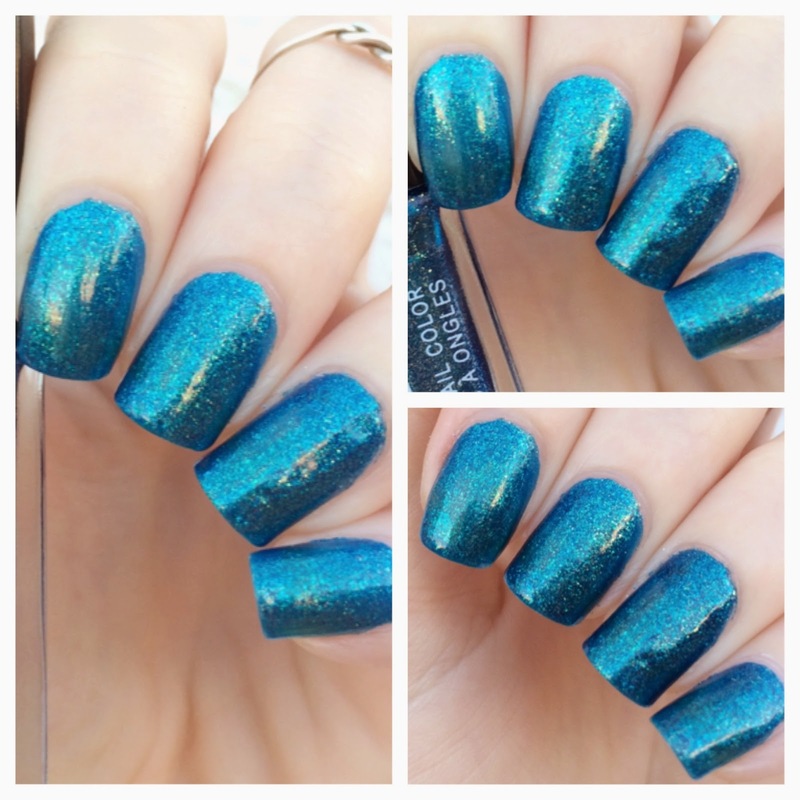 Azure Iridescent Shimmer. Who else looks at this color and automatically sees a mermaid fin? Perfect, glad I'm not the only one! Pictures do not do this color justice, but I tried my best. Laken is the quintessential summer color - especially if you're going for the mermaid mani look. The azure is laced with green, blue, and turquoise iridescent shimmer so that when you move your hand to and fro you catch this incredible color shift that is mesmerizing. Formula was flawless here. Super easy to work with, and gorgeously opaque in just one swipe! Awesome and vibrant color! Just my go to Lonesome Dove from Confetti that is a very pale purple. Such a gorgeous color! Totally have to get this now!